September is National Disaster Preparedness Month. Are you ready for a natural, or manmade, disaster? When the power goes out, the first thing you'll probably notice is the darkness. Maybe your computer screen is dark, or your TV. Or maybe all those electric lights we take for granted have switched off. Whichever it was, darkness is something we just aren't used to in the modern era, spoiled as we are by the power grid. Thankfully, when the power does go out, it's not something you're probably familiar with, since storms can routinely knock out the power. 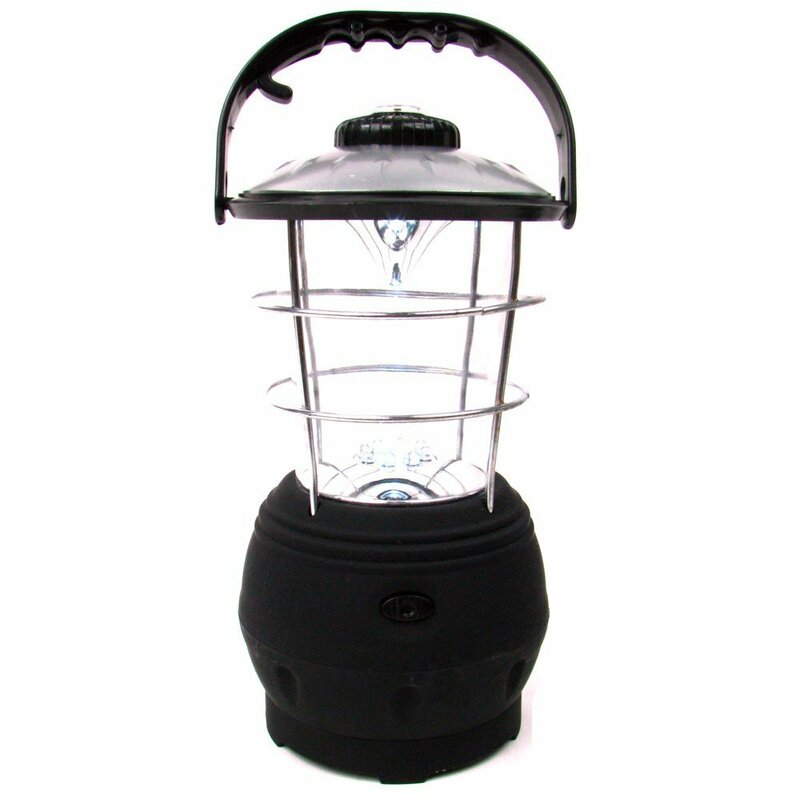 You've probably got flashlights and candles in your home already for those emergencies. But what about when the power is going to be out for days, or weeks, or even months? What are you going to do to bring back the light to reassure your family that everything is okay? Long before Edison, people relied on candles for illumination at night. Today, candles are often scent-makers, coming in decorative jars and festooned with fancy bows or ribbons. But what about candles for emergencies? The best option for an emergency is the tea candle. Being short, there's little danger of a tea candle tipping over and starting a fire. Tea candles also come in a handy metal tin, meaning you don't need a fancy holder for it. 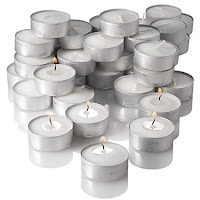 Best of all, tea candles are very inexpensive. You can get a hundred or more for under $20.00. If you want to be able to carry these tiny candles around, there are a variety of lamps and lanterns made to fit them. The one drawback with a candle is the need for an igniter--matches, or maybe a butane lighter. It won't do much good to have a few hundred tea candles stockpiled if your matches get wet, or you've misplaced them. Propane lanterns are considerably more dangerous than candles--they can put out fumes that in an enclosed space (like your fallout shelter) could prove fatal--but they put out a lot more light, and a bit of comforting heat. 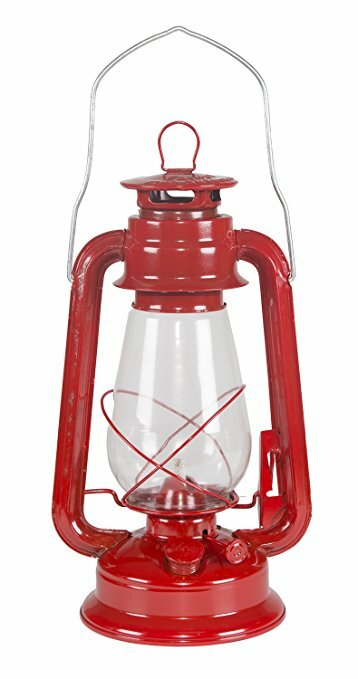 Growing up, my family all loved kerosene lamps. Of course, kerosene fumes can build up over time, or just lain stink you out. There are alternative, cleaner burning fuels you can use, but like candles, but wick-and-fuel lamps do require igniters. 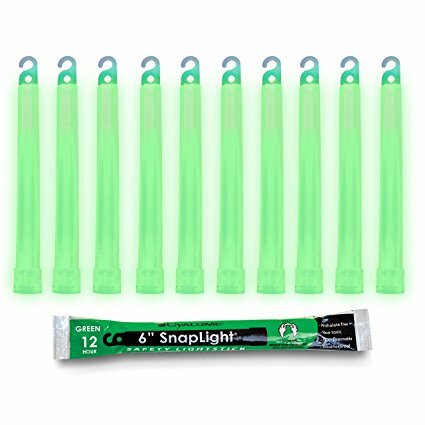 A modern convenience for illumination is the chemstick, or glowstick, once known as cyalumes. Simple plastic tubes, you just bend and shake and a chemical reaction produces light for hours. We tend to order these in bulk, buying a box of ten each spring to restock our storm closet. I'm not sure what the shelf life is, but we tend to rarely use them--although they are great to amuse kids with for late night events like trick or treating or trips to the drive in. 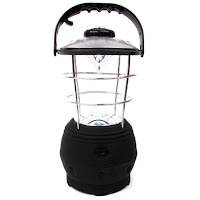 The safest bet for disaster preparedness is an electric lantern. And not just the kind that use batteries. There are now lanterns with handcranks built in, so you can recharge them without use of a generator. The best bet for any disaster preparation is to combine all of the above light sources--giving yourself a variety of choices in the event one of the technologies above fails. When the power goes out, so does most Americans' way to cook and preserve foods. You may have a gas stove, but very few people have gas refrigerators. Fortunately, most power outages are short-term, and in the interim, your fridges and freezers effectively become giant coolers. The insulation found in these miracles of modern convenience can give you a day to keep cool food cool. Just remember not to open the fridge often. And a fuly stocked fridge and freezer will stay colder, longer. On day one of a powerless period, it's time to cook all that frozen food. And while your electric oven might be down, maybe you've got a propane or charcoal grill? Or a portable camp stove? Any of these options will allow you to keep eating even during a short term power outage. But it's not just meat and vegetables you need to keep in your fridge--there's also bread. While modern bread might not taste so good once frozen, if you keep a loaf or two in your freezer, it will significantly extend the shelf life. Once the power fails, bread in the freezer can thaw out safely. Then it can be moved to a bread box or used. By keeping bread in the freezer, you've given yourself the ability to make sandwiches without heading to market for a while. Or you can break out a batch of biscuits, dinner rolls, or even some french toast. As soon as disaster strikes, many folks would say you need to rush to the taps and start filling buckets, bottles, and even your bathtub with water--because you may not have pressure in the lines for long. But what if it's too late? What if the water is no longer being pumped? What if you didn't have the forethought to stock water for you and your family ahead of time? What are you going to drink? Fortunately, there's already a lot of drinkable water in your home, right now. It's in your water heater (unless you have a tankless heater). The average home has a 40, 50 or even 75 gallon water heater in it. That's ten or more days of potable (drinkable) water for a family of four. And conveniently, your water heater has a drain at the bottom. And that drain spigot is threaded for a standard water hose. Now, if you haven't flushed your water heater in a while, there may be a lot of silt in the bottom of the water heater--all the calcium and minerals that are in city water at any given moment, but which accumulate in a water heater over time. There's also water in your house's pipes. Just turn off the water at the main valve, then open a spigot at the lowest point in the house and drain your pipes. That's quite a few gallons of potable tap water there as well. The point is, when disaster strikes, you need water to survive--most people can't go more than three days without. But for short-term disaster scenarios, there is water in your home already, so don't panic. That means it's time to take stock of what you have and what you might need when a natural or man-made disaster strikes. This means more than fresh batteries for your flashlight or an evacuation plan for your family in the event of a fire. It means being ready for when the comforts of civilization are stripped away by Mother Nature or other forces beyond your control. Over the next 30 days, I'll be posting about Disaster preparation to coincide with a new Youtube Channel I'm launching with my kids next week that's all about inexpensive, practical disaster preparation: Chowmageddon. Food and Water are your greatest need, both before and after natural disaster. But you don't have to break the bank stocking up on MREs or buckets of Prepper food. You can order reasonably priced food from the comfort of your home, or run down to the local grocer and stock up on simple foods that you might already have in your house. Check back daily for recipes, reviews, and suggestions for what you should socked away for rainy day.